Minstrel seems more of an IA solo album more than any other, but it doesn't really break new ground. Minstrel trumps TW for complexity and quality and some of the melodies on Minstrel are top shelf. Minstrel's lyrics were/are a bit too obscure. Neither album contains classics to the average fan of classic rock, but to the hard-core Tull fan Minstrel surely wins with the title track and the great Baker Street Muse. TW does have the claghorn on one track, but Minstrel offers so much more musically, whether it be Barrie's drumming, the strings conducted by David Palmer, and even Martin's unique sounds with his guitar as heard on Black Satin Dancer. The "book-style" jacket gets the nod. Original stereo vs stereo releases. Neither album exhibits a sense of humor. Well, this one turned out to be much closer then I would thought. But nevertheless This Was suffers another loss! Sorry, JohnN, we cannot accept your disqualification, and even though you didn't go through the nine-point comprehensive analysis, we are accepting your vote in favor of Minstrel, mainly in the interest of keeping this moving! As always, five votes are required for an album to win a round. Anyone want to register a vote? Newbies, go back a few pages through this thread to find the Nine Point Test that we have been using so as to stimulate discussion rather than just having a boring roll call. Tough one. Serenade to a Cuckoo over Cold Wind to Valhalla? I'll have to go with This Was on this one. The harp on 'This Was' rocks. As a harmonica player, I am very partial. Minstrel is much more lush and varied. 'Baker St. Muse' still cracks me up. 'Testicle testing' indeed. And there is a strong sense of irony running throughout the album. I choose Minstrel in the Gallery based on the criteria. Welcome to The Jethro Tul Board, Morth! Great post there, a vey well-considered analysis, and a welcome infusion of new blood to our Album Wars competition. You have helped us inch forward in our somewhat quixotic quest to pit each album against each other, a process that might take several years at the rate we are going. Minstrel - 4 votes, This Was - 0 votes As usual, five votes are needed for an album to win a particular round, so Minstrel is still short one vote. Hmmm...Doing the math (with both fingers and toes), Tull has, what, 21 studio albums? At the present rate, we will all be dead by the time we get around to comparing the last album. I guess the point I am making is, why not just do all the albums up to Stormwatch, because I could argue with some conviction that the albums following that album simply do not match up. And some, like 'A' and 'Under Wraps' are absolutely dreadful. I'll give the groundbreaking edge to Minstrel since This Was' groundbreaking contribution was the flute addition whereas Minstrel's was a whole new take on popular rock. On all three counts Minstrel beats out TW. Again, Minstrel trounces TW in these areas. I begrudgingly give the edge here to TW. Although I DO like Ian's vocal affections on TW, his singing on Minstrel is an example of Ian in his prime. Interesting musical touches...I submit the whole Elizabethan theme as well as the progginess of Baker St. Muse as enough interesting musical touches to violently touch TW. TW I'll say...that tongue in cheek title and the aged band. Minstrel. Randy. Funny. Clever. Ian is comfortable allowing his pen to commit what's going on in his brain. TW is a child grasping at his father's hand in that regard. And there This Was sits - no bed, no bread, no butter. That does it! Thanks B! Sound reasoning although I feel you could have elaborated a bit. Thank you, Jason, for the incisive analysis, well done my friend! And so Minstrel has swept This Was by a score of 5-0, which means that This Was's record in the Album War Cup falls to an abysmal: 0 Wins, 8 Losses. This Was v. Too Old To Rock and Roll, Too Young to Die. It's going to be a little tough for me to keep subjective feelings out of the analysis -- I have a soft spot for TOTRNR -- but I will do my darndest to stick to the objective criteria! What that? 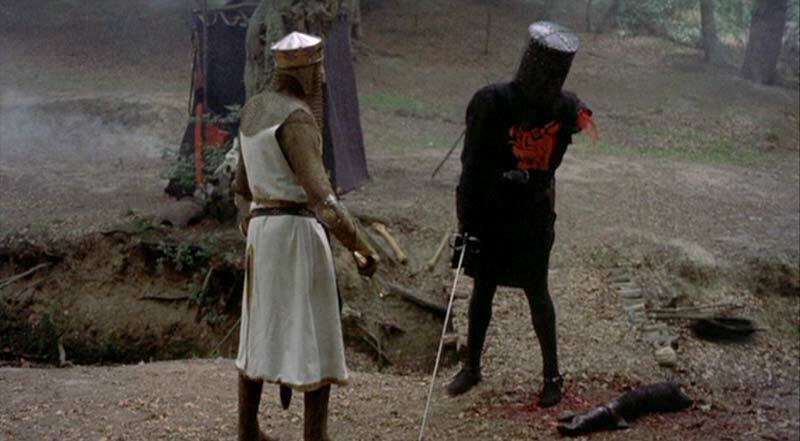 It's only a flesh wound! 'This Was'. The synthesis of rock, jazz and blues on 'This Was' overawes any additional orchestration or background vocals on 'Too Old'. 'This Was' offered a different take on the British blues invasion of the late 60's/early 70's; whereas 'Too Old' is just another Tull album -- a recapitulation of previous albums. 'Too Old to Rock and Roll'. It is literally impossible to have a rock album of 1968 with as much complexity as a rock album produced in 1976. For comparative purposes, listen to Pink Floyd's 'A Saucerful of Secrets (1968) and 'Animals' (1975), or The Mothers of Invention's 'We're Only In It for the Money' (1968) and Frank Zappa and the Mothers of Invention's 'One Size Fits All' (1975). Their is a natural evolution in polytonal harmonics, guitar techniques and studio innovations that simply were not available earlier. 3) The quality of the lyrics in terms of imagery, rhyme, metaphor, content and meaning. 'Too Old to Rock and Roll'. 1968 was a simpler time for Tull. One doesn't usually wax poetic on 12 bar blues. 'This Was'. There are a few important songs on 'Too Old' (the title song, 'Salamander', 'Deadbeat', 'Taxi Grab'), but there is half an album of forgettable tunes mucking it up. 'This Was' is an essential album for a Tull collector. 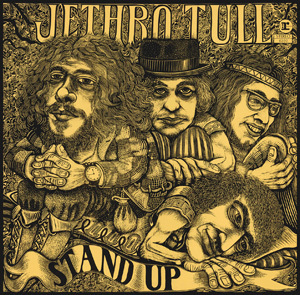 'Serenade to a Cuckoo', 'My Sunday Feeling', 'Some Day the Sun Won't Shine for You' (perhaps the best blues tune Tull ever played), 'Dharma for One' 'A Song for Jeffrey' and 'Move on Alone' are all integral parts of Tull's discography. The guitar work of Mick Abrahams is notable as well. 'This Was'. Much more firey. Ian Anderson's vocals are double and triple-tracked on many tunes on 'Too Old', whereas Ian's actual singing is much more discernible on 'This Was'. 'This Was'. Well, the claghorn, along with the blues harp and flute (in the same song!) made 'This Was' eccentric in comparison to Tull's blues-rock peers in '68. There are strings and orchestration on 'Too Old', but that's simply because Tull could afford the extra studio time. 'Too Old to Rock and Roll'. Again, a struggling band's first album, as opposed to a megaband's tenth release. You can afford to be fancy-schmancy. 'Too Old to Rock and Roll'. Not a fair comparison really, as I've already stated. 'This Was'. 'Too Old to Rock and Roll' is depressing. The album cover of 'This Was' always cracks me up. 'This Was' wins 5 to 4. Although the criteria is skewed to favor 'Too Old' as noted in several instances. This may be the most interesting clash yet, as both albums are so completely different. Here is my analysis. Certainly, This Was is a groundbreaking album, as there was really nothing like this in rock music before, and I'm talking not only about the use of the flute as a lead instrument in a rock band, but also the unique eccentric image of a vagabond dressed in a long ratty coat, standing on one leg. This album raised a lot of eyebrows as something very different from what other bands were doing. TOTRNR was unique as the songs were originally written to accompany a rock musical, however this was not the first example of this (Tommy, Hair and Jesus Christ Superstar come to mind), and musically no new ground is broken. Conceptually, however, the album is brilliant. Ian, as usual, was a step ahead of the game, predicting the rise of punk rock and the changes in the music industry, and coining the defiant phrase which is the album's title. The up yours gesture given by Ray Lomas is basically Ian flipping the bird to the record industry, and to the changing popular taste in music, and brazenly stating in a loud and clear voice "we are going to keep on doing what we have always done." It would not surprise me if a lot of other so-called dinosaur bands drew inspiration from Ian's bold exhortation, and from the title track which is just a great rock anthem. I almost called this category a tie, as both albums are so unique, and both groundbreaking, but in different ways. But in the final analysis I have to award this one to This Was. I think the entire TOTRNR album, from top to bottom, is comprised of excellent songs. The album is consistently melodic and has a good mix of solo acoustic songs, just Ian with guitar and flute, and ensemble pieces like the wonderful Crazed Institution, and some good fun rockers like Big Dipper and Taxi Grab, and then there is the stark and simple beauty of From a Dead Beat to an Old Greaser. This Was, for its part, has six excellent songs, true Tull classics, but then there is the weak blues material, the Mick Abrahams stuff like Move on Along and It's Breaking Me Up, which I think is quite ordinary. I would have to call this category a tie. Too Old To Rock and Roll, with its brilliant satirization of popular culture, the cyclical nature of fashion and the music business, takes this category over the standard blues lyrics of This Was. This Was certainly wins in this category, as there is really only one true Tull classic on TOTRNR, and that is the title track. This Was has five or six Tull Classics. A strange comparison here, because on both albums the vocals are so affected. They are probably the two most unusual albums in terms of the singing, but I wouldn't say that one is better than the other, so again I call this a tie. This Was has the claghorn, and both albums have some harmonica, but TOTRNR contains some very unusual elements that are rarely found in Tull such as slide guitar, saxophone, female backing vocals and pizzicato guitar plucking found in Pied Piper, but in no other Tull song in the entire catalogue. So I give this category to TOTRNR. I love the comic art and cartoon strip of TOTRNR, so here again I choose TOTRNT. Aside from the clever cover, there are no realy humorous elements to any of the songs on This Was, whereas TOTRNR has a lot of very funny vulgarisms, which may Tull so much fun. In summary, This Was takes two of the five more important categories, whereas TOTRNR takes one and two are ties. But Too Old sweeps the final four categories, which are less important, but taken together are enough to push Too Old just past This Was in my analysis. This Was wins two categories, TOTRNR wins five categories and two are ties. Round 9 score thus far: This Was, 1 vote, TOTRNR, 1 vote Five votes are needed to win a round. So who's going to jump into this fray next? Okay, I'm in. But let me first say hat's off to you both for some excellent observations, and some fine presentation work as well. I'd don't think I'd go so far to say that TTR&R is just another Tull record. To my ears it didn't seem to be a natural progression coming off Warchild and Minstrel. It drifted from the rock roots of previous albums with songs like Salamander, Dead Beat, Bad-eyed, Chequered Flag, Pied Piper, etc. But then again, it wasn't 'that' different to take this category. No question here. You can easily 'lose yourself' while listening to TOTR&R. Again, not much to argue here as well. While TW may contain songs that old timers and we trainspotters think of as classic Tull, the truth is the vast majority of fans that grew up enjoying Jethro Tull probably never heard most of them. So while Ian resurrected many of TW's songs in concert during the 90's my guess is most fans of classic rock still don't know them. On the other hand most classic rock fans know TOTR&R. So on that basis alone I have to give it to that album. While I don't think of TOTR&R as being one of Ian's best vocally, he certainly displays more range on this album then any of it's predecessors. TW can't stand up to it's big brother in this category either. John Evans must have enjoyed some of the new sounds he used on this album. Whether it was the use of an electric piano, or whatever the hell that is on Big Dipper. I'm assuming the string pizzicato sounds came from David Palmer and company. It's all too much for the poor little Claghorn! Also of note is the similar intros on Quizz Kid and the title track. I must have offered hundreds of dollars to people who could guess the name of the song (Quiz Kid). Of course everyone guesses wrong! And of course I will not make this offer with any of you! Hard to argue against TOTR&R. TOTR&R - more so for the inner story then the lyrics to any of the songs. Except I always found the warm fart line makes people smile...or were they cringing? Winner by a long shot - Too Old To Rock & Roll. Actually, the correct score is TOTRNR, 2 votes, TW, 1 vote, because Greg started this round off with a vote narrowly in favor of TW. My bad, I'll edit that. I must lodge a complaint in regards to the prejudicial format of this album war. The line of questioning is inherently flawed and puts an excellent blues album like 'This Was' at a disadvantage to other albums that may be construed by some as inferior to Tull's first album. The complexity of the music: how adventurous is it? The quality of the lyrics in terms of imagery, rhyme, metaphor, content and meaning. The overall packaging and presentation of the album, including artwork, liner notes, etc. ...really allow for a fair field of battle? I mean, really, when we get to an abysmally wretched album such as 'Under Wraps', will it beat a far better album like 'This Was' simply because it employed synths and drum machines that were not even in existence in 1968, more advanced studio techniques and far greater budgets? One might as well add a question, which is a better blues album? ''That's not fair!" you would cry. "Under Wraps is not even a blues album! TOTRNR I think broke little new ground for the band itself when I look at it technically, but for some reason it does seem like something very new and different at the time. While This Was was primarily a Blues and Jazz album, and less unique from other musical acts than TOTRNR it has an undoubtedly pioneering sound for its time with some real innovations with what Blues music can be. Id have to say This Was. TOTRNR was definitely the more adventurous of the albums I think. While on This Was they definitely made some unique sounds, led for the first time by the flute no less, Tull was walking on much more shakey grounds when they were making an album (TOTRNR) that was telling a story about the trends of the music industry. Obviously Too Old to Rock n roll for this one. The imagery and meaning are superb, probably some of the best that Tull has done, while Ian still had yet to develope his crazy lyric-writing when he recorded This Was. While I love the vocals on Too old to rock and roll, especiall on From a Dead Beat, This Was had some very varied and fun vocals. This Was. Both have exceptional humor at parts, but it is much more present in TOTRNR. Your complaint overlooks the fact that the system is weighted, so that the first five primary criteria are the most important, whereas the four secondary categories (things like sense of humor, unusual effects, production) receive much less importance. So, whereas This Was might be at a disadvantage in certain secondary categories, it will always have certain advantages in some of the more important categories, such as number of Tull classics and is it a groundbreaking album, for example. The fact that TW has not won a round yet is not a reflection of TW -- although there are some weak cuts on that album to go along with the great ones -- it's really more of a reflection of the greatness of the subsequent albums up to this point in the proceedings. I am sure, though, that TW will rack up a number of wins in subsequent rounds, and I hope you will participate in those rounds. Thanks for your analysis, KB. Tallying up your votes, you really could have gone either way on this one, because you gave three of the five most important categories to TW, and only two of those categories to TOTRNR. I'm not sure if this would have made any difference in your vote, but even though you awarded Too Old five of the nine categories, and only four of the nine categories to TW, you still could have called it in favor of TW, because three of your five votes for Too Old were in the lesser categories. Also, although this was never pointed out before, anyone is free to call any of the rounds a tie. That may come in handy in subsequent rounds. I don't mean to influence you here, but just to point out that the categories are weighted, so that in future rounds you can go with an album even if it receives fewer overall categories, depending on the weight of those categories, and that ties are permitted if you are so inclined. That being said, your overall vote is for TOTRNR, so the score so far is, as you say, TOTRNR- 3 votes, TW- 1 vote. Anyone else want to weigh in on this round? It's a good thing you put up a good argument Jeff, because I'd hate to have to start all over again! Jeff, I am merely pointing out a flaw in the format that perhaps hurts 'This Was' more so than the albums that followed in Tull's discography. If, as you say, "We are trying to arrive at a consensus about what is the greatest Tull album", I would have to say that the questions put 'This Was' at a decided disadvantage. For instance, I voted as objectively as possible and 'This Was' won very closely over TOTRNR with a combined score of 5-4; however, I consider 'This Was' a far better album than TOTRNR than the scoring belies. If you were to simply ask 'which album is greater?' You may end up with an entirely different outcome. In adddition, although you say the final few questions are weighted less than the first 5, no one has counted up their scores to show the differentiation. I realize it is far too late to change things, but perhaps each question should have an actual score amount attached to it, such as the first five questions are a point a piece, and the last 4 are a 1/2 point a piece. All I can say is our nine objective criteria do cover every aspect of an album, nothing really is omitted. TW may suffer in the lyrics department because the songs are standard blues laments, but how can you compare albums without discussing how good the lyrics are, which is an essential part of the artist's work. You said that by the objective criteria we established -- which really do cover everything -- you narrowly gave the edge to TW over TOTRNR, but that you consider TW the far better album. I think that's where your subjective preference creeps in. Be that as it may, I do like your point system, but it's probably too late to implement it mid-stream. But I will certainly keep reminding people that the first five categories are the more important ones. Let's just go with what we got, I think it's working pretty well, and it will be interesting to see how it all plays out, even if it takes us a couple of years to get through the whole thing.